On both sides of the Atlantic, preparations for the upcoming cross country trip are made. 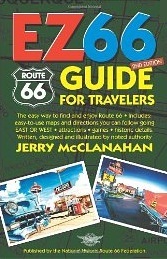 I just received my own copy of the EZ66 guide. 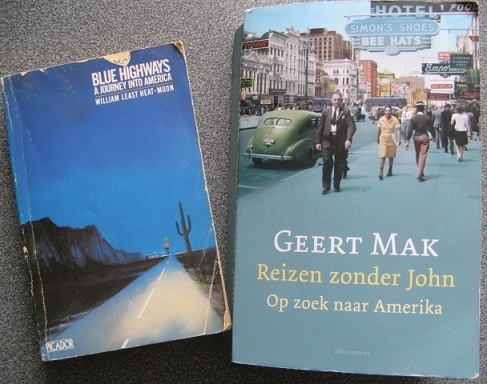 I also started reading ‘Blue Highways‘ by William Least Heat-Moon and ‘Reizen zonder John’, a 2010 re-travel of John Steinbeck’s ‘Travels with Charley‘, by the Dutch historian and author Geert Mak. I purchased some vacuum travel bags from eBay. It’s the roll-up model, which works very easy. 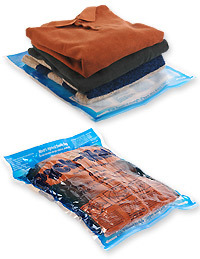 By rolling the bag with the contents most of the air is pressed out and does not get back in when flattening the bag. Even if the saving on volume would not meet the promised 75% I’m pretty sure it’s at least 50%. Another advantage is in the organizing, one bag with shirts, underwear, etc. for the first days, a second for the next, etc. 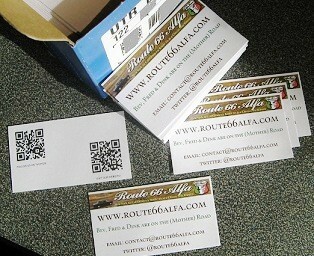 Today I received the business cards I ordered at Vistaprint. I suppose we will meet enough people along Route 66 and at the Alfa Convention in Sonoma who would like to learn more about our tour, so it’s nice being able to hand out some cards.